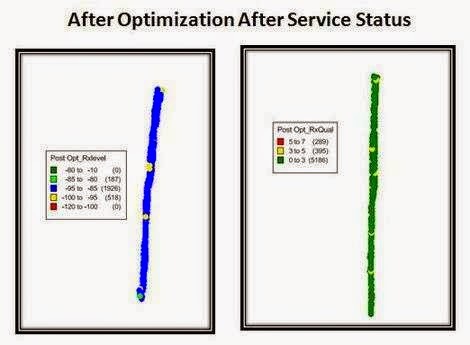 RNO: Radio Network Optimization is a process where we need to tune different types of radio parameter to improve radio network accessibility and quality. For any radio network either it's WCDMA or GSM, it is important to optimize to provide desired services to the subscriber. 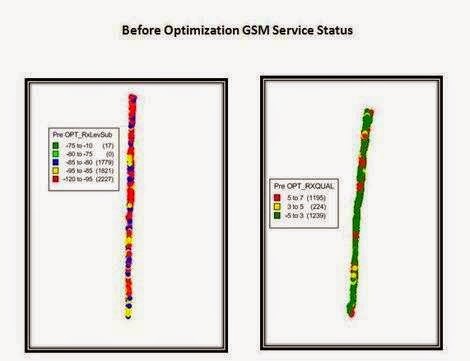 But in wireless or radio network, significance of optimization carries huge value. 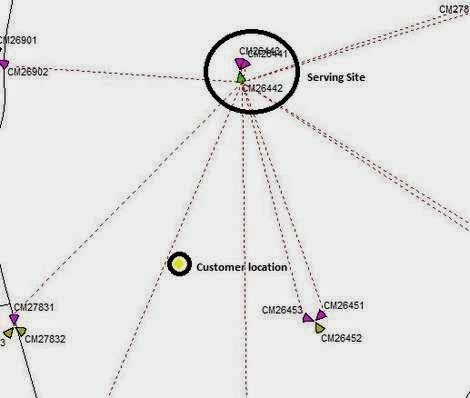 I will show you a typical case where we need to optimize to improve network quality and coverage. Here Subscriber complains that he is facing Blocked call(when subscriber tries to call, it's blocked by the network) and Dropped Call(When subscriber in conversation with called party it's dropped, although customer didn't finished his conversation with his called party). No service mode (there is no network in subscriber device) or Limited service mode (very few services enabled, which is not sufficient to make a call or provide internet service). Network fluctuation (That is received signal fluctuates). Above scenarios occur indoor locations only. But in outdoor received signal Level (Rxlevel) is satisfactory. Call setup success rate (CSSR) is 20 % that is if subscriber ties to call 10 times he becomes successful for 2 times only. Received signal level (Rxlevel) fluctuates -15dbm to -20dbm. Very poor Received signal strength (-98dbm) and received signal quality (6 to 7). Timing advance (TA) Value 4 to 5. Poor Signal Quality Index mean opinion score (SQI MOS) around (1.5 to 2.5), but the standard value of SQI MOS is above 3.1. Due to dense vegetation received signal level falls at very high scale. Customer location is surrounded by metallic body (TIN SN), hence signal fluctuates at broad scale. 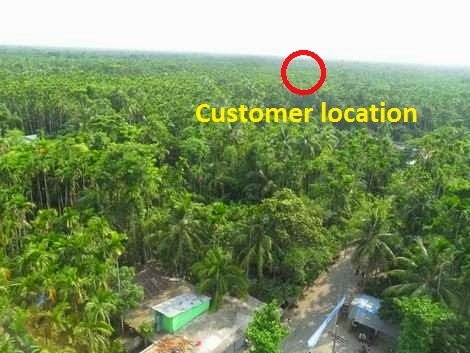 Distance of subscriber from serving site is 2.88km, which is blocked by the dense vegetation. Antenna transmit power is only 30W, where as the system maximum capacity is 45W. Direction of subscriber from the serving site is 230 degree, but antenna direction is in 180 degree. Serving antenna azimuth 170 degree. Serving antenna height is 35m. Electrical tilt of serving antenna is 2. Mechanical tilt of serving antenna is 0. Serving antenna band Single Band (GSM 900 only). Antenna vendor “AGISSON", Model: A19451811. Antenna beam width 65 degree (Horizontal) and 8.86 degree (Vertical). Serving antenna azimuth should be 200 instead of 170. But for best result it should be directed to the subscriber location at 230. It's not possible because of, if we do that the serving cell will overlap with its neighbor cell, also there will be few null coverage areas. Transmit power should be 40W instead of 30W. Because of we have to strengthen received signal level (Rxlevel). Electrical tilt should be 4 instead of 2, because received signal fluctuation largely depends on lower value of electrical tilt. But in AGISSON antenna's electrical tilt inversely proportional to the coverage areas. For the flowing subscriber, we’ve changed both logical and Physical parameter. After RNO process received signal level (Rxlevel) significantly improved. Finally subscriber was very happy with network quality and coverage.